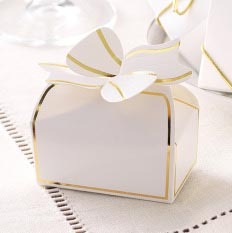 Sailboat shaped almond buttercrunch, covered in white chocolate, dipped in dark chocolate and pecans. 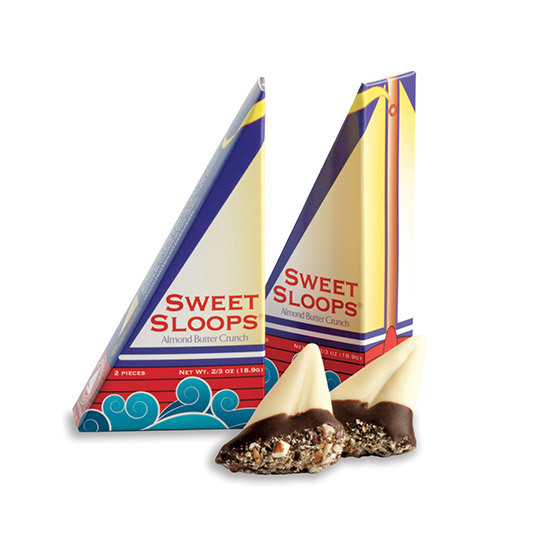 Sweet Sloops are our "signature" chocolates. 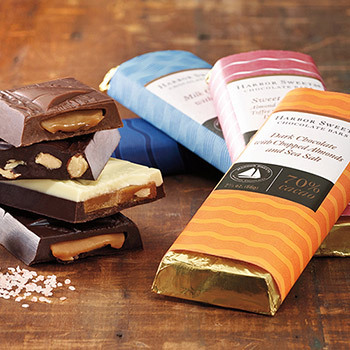 We began making them in 1973 in our founder's kitchen in Marblehead, MA. 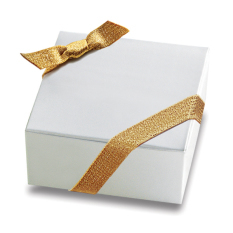 Since that time they have become world famous and to this day remain our top selling chocolate. 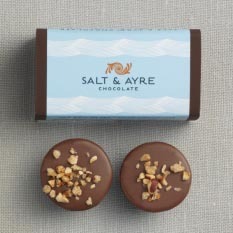 The naming of our candy came about when Founder Ben's son saw us putting white chocolate on a triangular piece of almond buttercrunch toffee. 'Sailboats', he said. 'Sweet Sloops', we said. And our Sweet Fleet set sail.